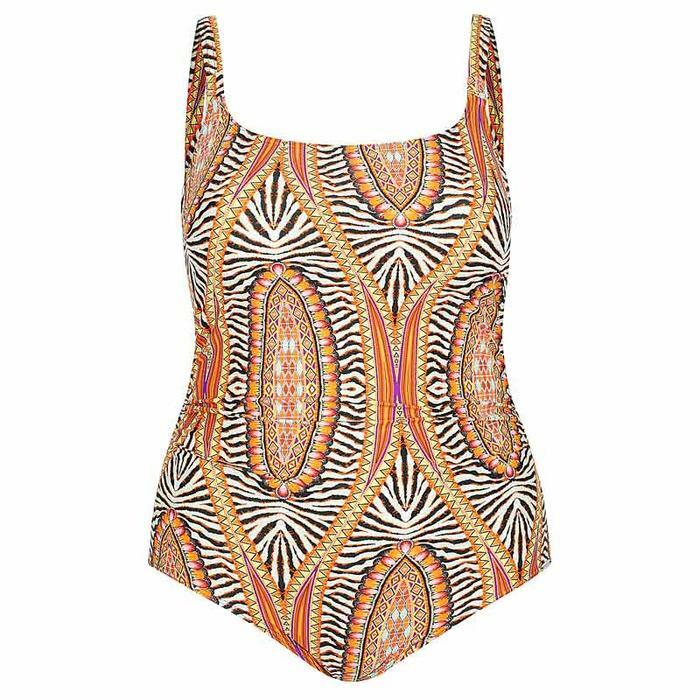 The Safari tank onepiece swimsuit is a fun, geometrically printed swimwear option. With a trendy pattern and great coverage in the front, this plus size tank one will be a favourite. A glamorous take on a classic shape, perfect for those who want to get active and still look stylish this summer. There is very little ruching in this style so great for those who have a flatter tummy or shorter torso and don't need a lot of ruching. Don't forget to complete your look with a sun safe hat. Fit - Great for most shapes. A simple, classic cut.